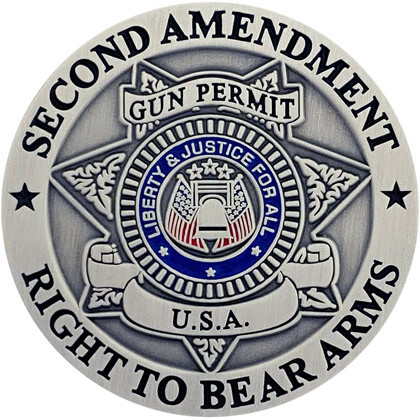 If you’re proud to be an American and proud to be taking advantage of your Second Amendment right to bear arms, then you’ll love these collectible pins! These pins are a wonderful way to express your pride for the Second Amendment. Accented with patriotic colors and graphics. Our “Second Amendment” metal pins measure 1.5 inches, with a double metal post to allow for a secure attachment to a shirt, jacket or hat. It’s a great gift for any firearms enthusiast.